It’s becoming increasingly difficult to ignore the ever increasing evidence that President Obama was born in Kenya. There are just two many missing facts that remain a mystery. Most people learn about their birthplace from their parents and evidence suggests that Barack Obama (known as Barry Obama) believed until 2007 that he was born in Kenya and publshed that as fact. Many newscasters have avoided the discussion but some are asking good questions. 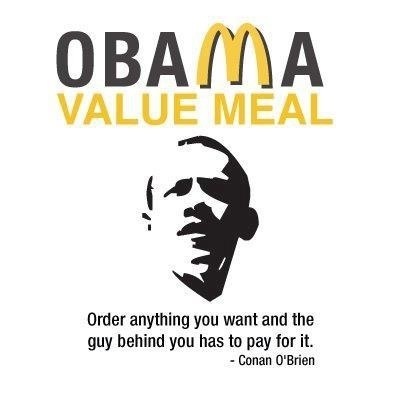 The best question for Obama is…. Are you using Social Security # 042-68-4425? Just who does it belong to? Jean Paul Ludwig or Barack Hussein Obama? Jean Paul Ludwig, who was born in France in 1890, immigrated to the United States in 1924 and was assigned SSN 042-68-4425 (Obama’s apparent current SSN) received on or about March 1977. Mr. Ludwig lived most of his adult life in Connecticut. Because of that his SSN begins with the digits 042, which are among only a select few reserved for Connecticut residents. Barack H. Obama never lived or worked in that state! Therefore, there is no reason for his SSN to start with the digits 042. And born in 1890? J.P. Ludwig spent the final months of his life in Hawaii where he died. Conveniently, Obama’s grandmother, Madelyn Payne Dunham, worked part-time in the Probate Office in the Honolulu Hawaii Courthouse and therefore had access to the SSNs of deceased individuals. The Social SecurityAdministration was never informed of Ludwig’s death and because he never received Social Security benefits there were no benefits to stop and therefore, no questions were ever raised. The suspicion of course, is that Dunham, knowing her grandson was not a U.S. Citizen, either because he was born in Kenya or became a citizen of Indonesia upon his adoption by Lolo Soetoro, simply scoured the probate records until she found someone who died who was not receiving Social Security benefits and selected Mr. Ludwig’sConnecticut SSN for young Barry Obama, as he was known throughout high school in Hawaii. 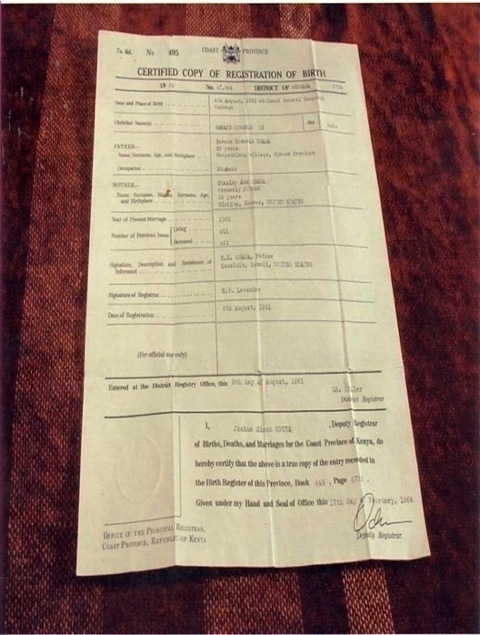 Now a “Kenya” Birth Certificate has surfaced. 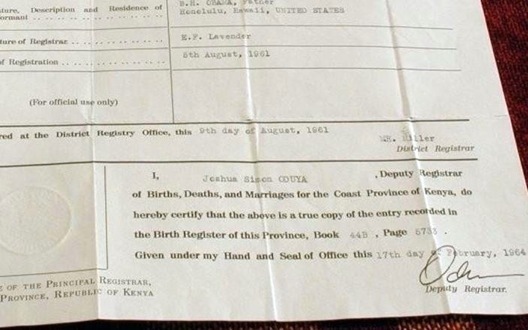 The Mombasa Registrar of Births has testified that Obama’s birth certificate from Coast Province General Hospital in Mombasa is genuine. This copy was obtained by Lucas Smith through the help of a Kenyan Colonel who recently got it directly from the Coast General Hospital in Mombasa , Kenya. Note the footprint. Is it possible to do a footprint analysis? Would Obama agree to one? The grandmother of Barack Hussein Obama, Jr. Reveals the story of his birth in Mombasa , Kenya , a seaport, after his mother suffered labor pains while swimming at ocean beach in Mombasa …. “On August 4, 1961 Obama’s mother, father and grandmother were attending a Muslim festival in Mombasa , Kenya ..
“I happen to be Kenyan. I was born 1 month before Obama at Mombasa medical center. I am a teacher here at the MM Shaw Primary School in Kenya. I compared my birth certificate to the one that has been put out by Taitz and mine is exactly the same. I even have the same registrar and format. The type is identical. I am by nature a skeptical person. I teach science here and challenge most things that cannot be proven. So I went to an official registrar today and pulled up the picture on the web. They magnified it and determined it to be authentic. There is even a plaque with Registrar Lavenders name on it as he was a Brit and was in charge of the Registrar office from 1959 until January of 1964. The reason the date on the certificate says republic of Kenya is that we were a republic when the “copy” of the original was ordered. I stress the word “copy”. My copy also has republic of Kenya . So what you say is true about Kenya not being a republic at the time of Obama’s birth, however it was a republic when the copy was ordered. A British history buff was asked if he could find out who the colonial registrar was for Mombasa in 1961. After only a few minutes of research, he called back and said “Sir Edward F. Lavender Note the same name near the bottom of the photo below. Source(s): Kenya Dominion Record 4667 Australian library.” And here is a close-up of the bottom of the document (see below) where you can read “Coast Providence of Kenya ” and the Official signature of the Deputy Registrar…..
One if the documents below is a “Certified Copy of Registration of Birth”, but below is also a copy of the actual Certificate of Birth… The real-deal legal kind of certificate. 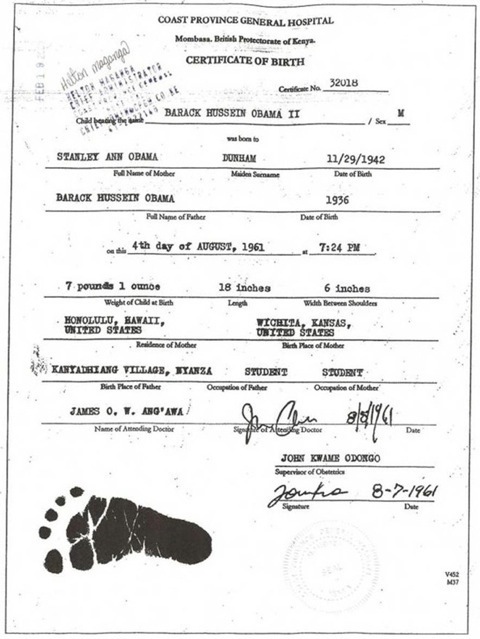 The Mombasa Registrar of Births has testified that Obama’s birth certificate from Coast Province General Hospital in Mombasa is genuine. 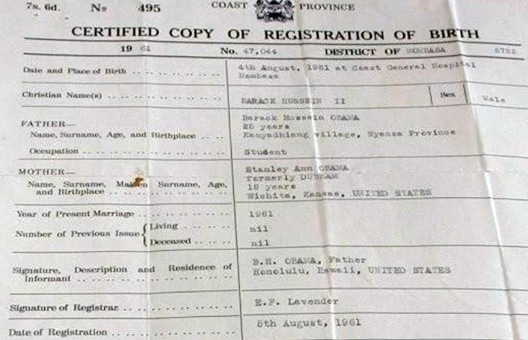 This copy was obtained by Lucas Smith through the help of a Kenyan Colonel who recently got it directly from the Coast General Hospital in Mombasa, Kenya ..
Then there is evidence that brings into question who Obama’s father really is. Here is the assertion. But the most intriguing one is “Dreams from my Real Father” (http://www.obamasrealfather.com/), by Joel Gilbert, about how the most formative influence on Obama was NOT the Kenyan goat herder but instead was his REAL father, Frank Marshall Davis, a hard-core member of the Communist Party USA who was tracked by the F.B.I. 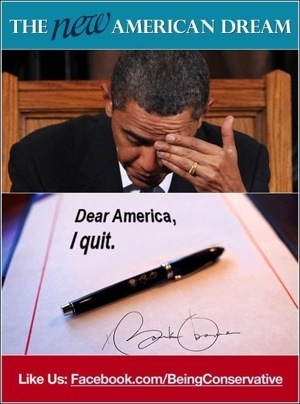 for almost two decades for his anti-American activities. The F.B.I. considered Davis such a potential traitor and so dangerous a threat to our country that they intended to arrest him immediately in the event of a national crisis such as war with the Soviet Union. The physical resemblance between Obama and Davis is stunning. This movie claims that Davis had an extramarital affair with Obama’s mother, who was two full generations younger than him, Obama’s mother married the Kenyan goat herder in a sham to cover up the affair, but years later, from the ages of 10 to 18 years old, Obama essentially was raised by Davis, who inculcated Obama with his dogmatic Marxist ideology. Why does Obama’s actual parentage matter? 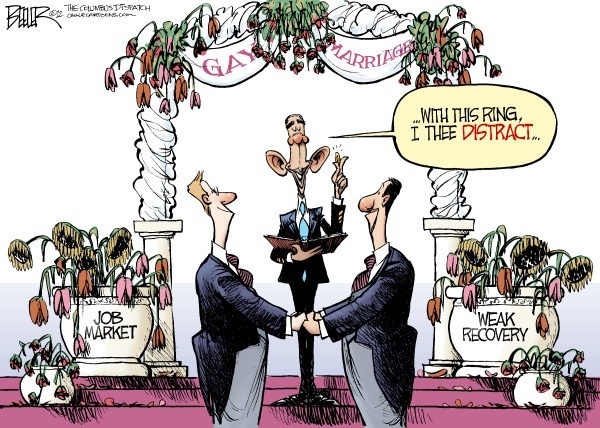 Because he knows who his real father is and withheld that from the voters in 2008 in order to hide an agenda for America TOTALLY incompatible with its founding or historic principles. 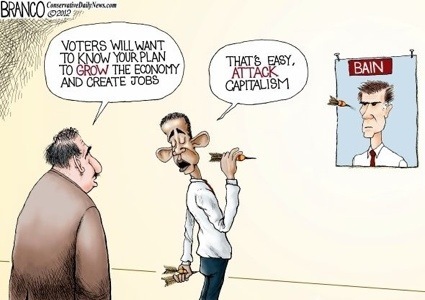 In his first term of office, Obama has realized several of his REAL father’s Communist dreams, including redistribution of wealth, a war on religion and the family, a surrender of the U.S.A. from its zenith of influence on the world stage, a takeover of GM, a pseudo-amnesty for illegal aliens, and a path to socialized medicine. 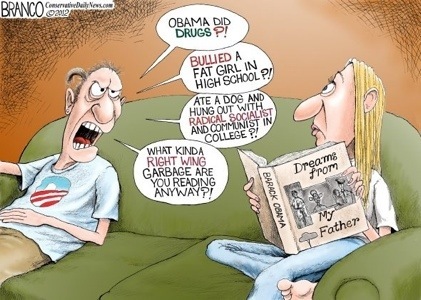 AND, if Obama is allowed to have a second term of office, a term in which he will have maximum “flexibility,” one need only look to his Marxist upbringing by his REAL father to know what he has in store for this great republic of ours. So with all this ammunition from apparently reliable sources, why is the press not conducting an investigation to verify the information? Why is Congress not moving for a thorough investigation when overwhelming facts are presented? Why is the National Press not acting on the hard evidence recently presented to them at the National Press Club conference? An even greater area of concern is Obama’s membership in a socialist organization in 1984. How did this little INDONESIAN Muslim child – Barry Soetoro, (A.K.A. Barack Obama) get around the issue of nationality to become President of the United States of America ? by Occidental College in compliance with a court order in a suit brought by the group in the Superior Court of California . Along with the evidence that he was first born in Kenya , here we see that there is no record of him ever applying for US citizenship.. 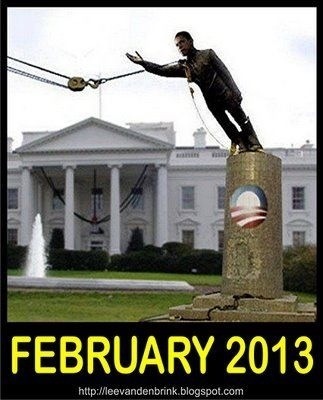 This entry was posted in Politics and tagged Obama, president. Bookmark the permalink.